As partisan divisions deepen across the country, federal employees increasingly find themselves on the front lines of policy battles over which they have little control. As many as one in three federal employees say they recently have been threatened or harassed as a result of performing their jobs or know a colleague who has. And nearly 40 percent say they believe they're more likely to receive threats today than in the past. That's according to a flash poll conducted in late June by the Government Business Council, the research arm of Government Executive Media Group. The poll found that 13 percent of federal employees have personally received threats or harassment as part of their work at a federal agency within the last six months. An additional 20 percent of respondents said they know a colleague who has been either threatened or harassed. Last weekend, officials at the Homeland Security Department issued a memo to employees stating that there has been a recent increase in threats against department workers, including “specific, credible” threats, and highlighting a number of tips to stay safe both in public and at home. 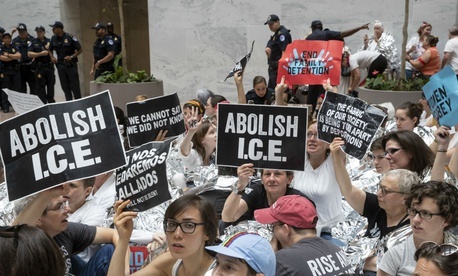 The memo suggested the uptick in harassment came in the aftermath of the controversial “zero tolerance” immigration policy, under which federal officials separated migrant children from their parents when they entered the country illegally. More than half of federal employees surveyed in the GBC flash poll reported that their agency leadership had issued some form of guidance on work-related threats. Fully 54 percent of respondents said they have received warnings about how to deal with threats and harassment, compared to only 37 percent who have not heard anything from agency leadership. Just days after being accused of inciting violence against members of the Trump administration, Rep. Maxine Waters, D-Calif., reportedly said that she has cancelled public events in Texas and Alabama in light of “a serious death threat” against her, NPR reported. The threat came after President Trump tweeted, “Be careful what you wish for Max!” in response to her comments last week. More than one-third of federal employees—37 percent—said they believe they are now more likely to receive threats related to their work than they were six months ago, while 38 percent said they weren't sure. Twenty-four percent of respondents said threats are less likely. The flash poll was conducted from June 28-29. There were 212 respondents, all of whom were federal employees. The survey has a margin of error of plus or minus 6.7 percent.